After a day of sunbathing, swimming and beach sports, there really is nothing more enjoyable than sitting around a fire pit with a beer and some s’mores! 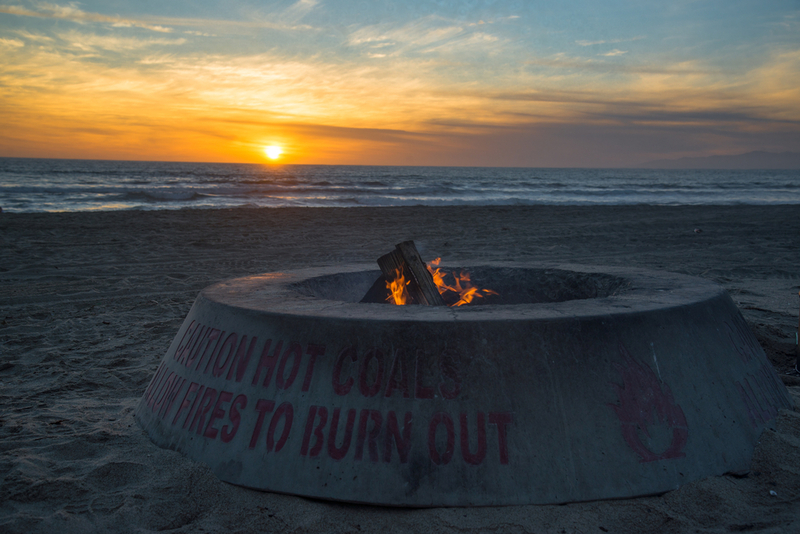 Most of California’s big beaches have banned fire pits, however, in Los Angeles you will still find some of the best fire pits around. These are the best Los Angeles beaches with fire pits, according to our travel expert Adrienne, which are perfect for an evening under the stars! For well over 60 years, beach bonfires have been ingrained in the culture of Huntington City Beach. 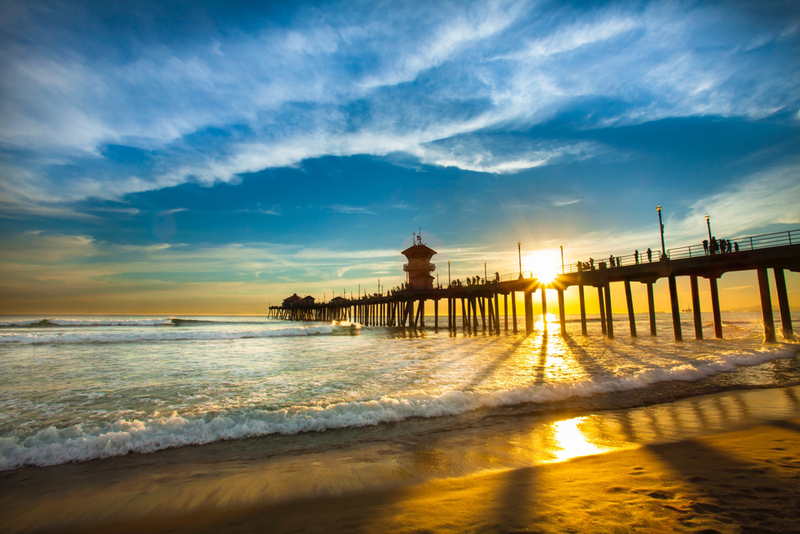 With 530 fire pits, Huntington Beach has more than enough to cater to the masses. Located south of the pier, the view from these fire pits at sunset is Instagram-worthy! Remember, as with most fire pits, there is no free wood on the beach, so you will need to pop into a nearby grocery store, where bundles start at about $5. Dockweiler State Beach boasts a three mile long shoreline with concession stands and picnic benches. If you plan to have a bonfire at this beach then get there early – with only 75 pits they tend to get snapped up fast. One thing to keep in mind when visiting Dockweiler State Beach is it’s close proximity to LAX Airport – it can get quite noisy with incoming and outgoing air traffic. The mile long Cabrillo Beach (aka Oceanside) is popular with people for scuba diving, swimming, volleyball and surfing. 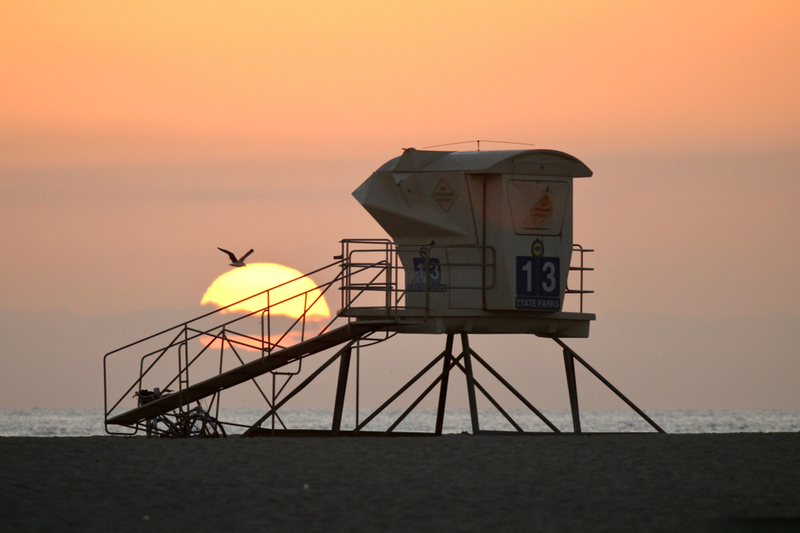 There are only 12 fire pits on this Los Angeles beach, so again, arrive early to claim your sunset watching spot! Go for a walk along the beach and you will come across the remains of a military bunker which the U.S. Army Coast Artillery planned to use in its defence during World War II. Pretty cool! 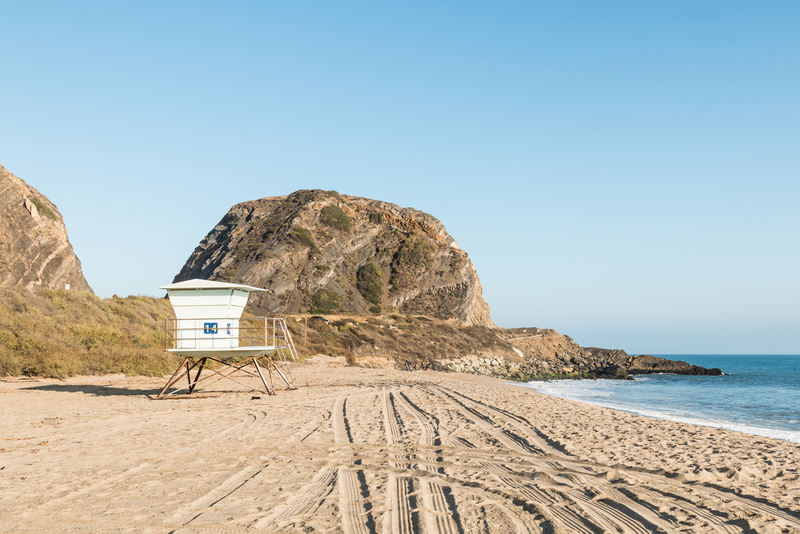 Tucked away on the shores of Malibu, Leo Carrillo State Beach boasts a camping area which is home to 127 tent and vehicle campsites. The fire pits on this beach are open to campers and non-campers and firewood can be bought on the beach. This secluded and scenic beach offers much more than just sand and sea – with hiking trails, cliffs and caves all waiting to be explored. Start your Los Angeles adventure today! Contact us and speak to one of our travel experts about your dream USA holiday! Favourite Destination: I'm a big music fan so a trip to the Deep South is right up my street. New Orleans is the home of the blues, and the heart of the Deep South. Best way to experience this journey is with a fly- drive holiday, starting in Atlanta and traveling up through some of America’s most famous and historical cities, places like Lynchburg, Chattanooga, and of course Presley country itself where a visit to Graceland is a must. Following on from all that visit New Orleans and its French Quarter to enjoy the wold class jazz and blues in this most exciting city.